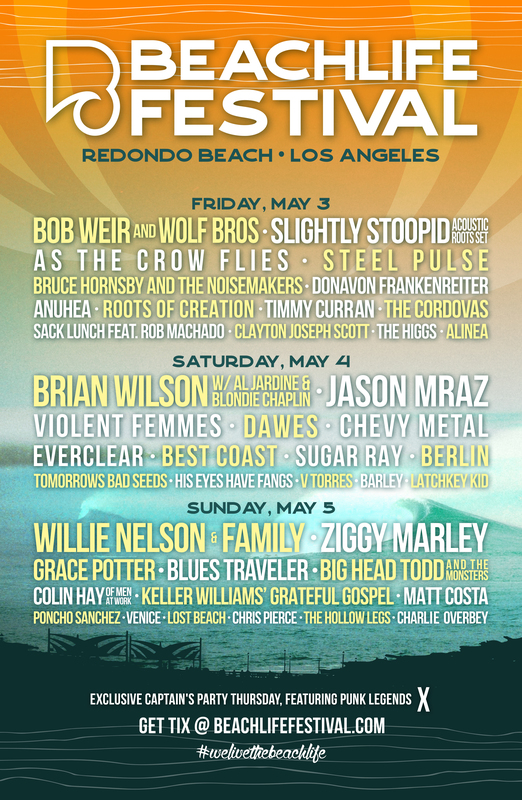 BeachLife is the first and only live music, food, and lifestyle experience on the shores of Los Angeles. We live the beach life every day and we're celebrating our lifestyle with the biggest beach party in LA! Bring your board shorts & flip-flops, friends and good vibes for great music, food, drinks and fun in Redondo Beach this May. All ages welcome. Kids 5 and under do not need a ticket. Rain or shine. No refunds, all sales final.